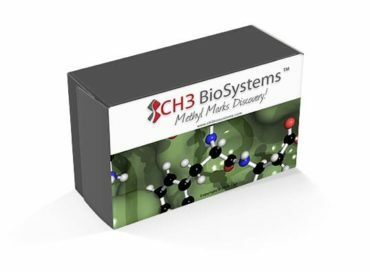 Arginine-Rich Peptide is a synthetic 1.6 kilodalton peptide that can be used to detect arginine methyltransferase activity in cell/tissue extracts and other biological fluids. Detection of the presence of methylarginine can be performed with anti-mRG methylarginine-specific antibody or by film based detection methods that utilize a radioactive methyl donor in the assay reaction. In vitro detection of arginine methyltransferase activity. Chemiluminescent western blotting (Anti-mRG) or fluorography of radiolabeled Arginine-Rich Peptide in dried SDS-PAGE gel.